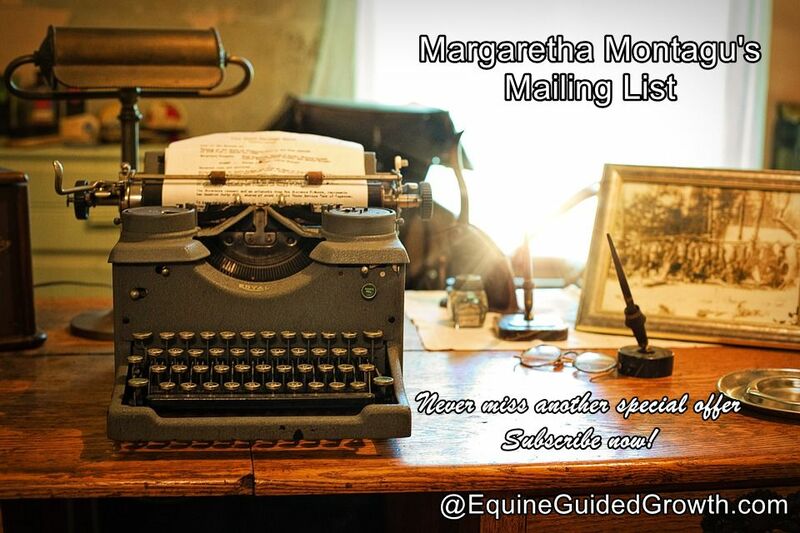 Subscribe to my Mailing List and receive a copy of my 10 Steps to Instant Self-Confidence Guide – straight from the horse’s mouth! 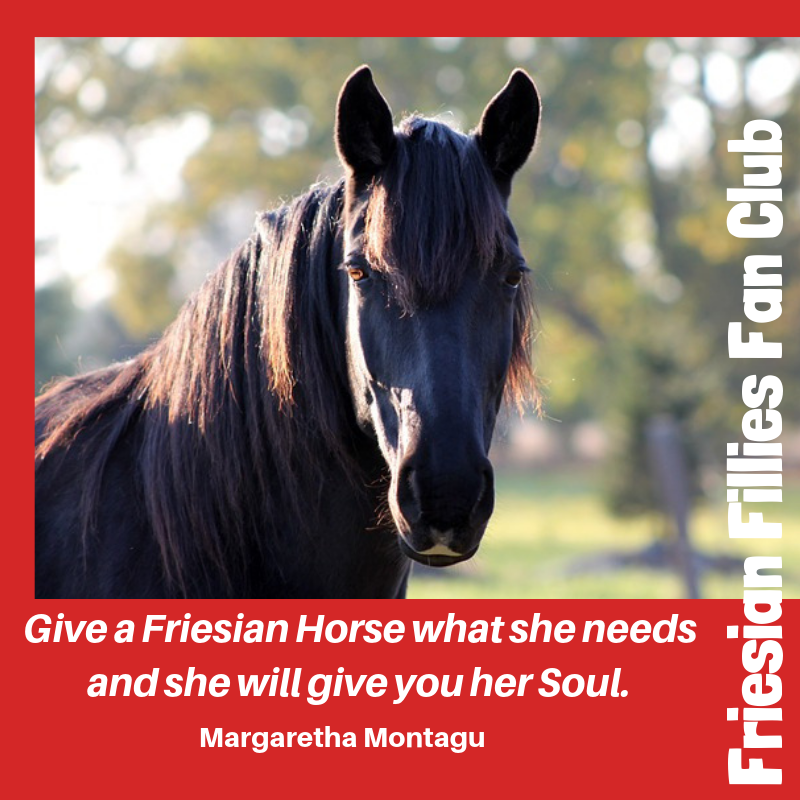 Join the Friesian Fillies Fan Club for as little as $5/month! The content of this website is for informational purposes only and is not intended to be a substitute for professional medical advice, diagnosis or treatment. This website does not provide medical advice, diagnosis or treatment. Always seek the advice of your physician with any questions you may have about a medical condition. Margaretha Montagu is a participant in the Amazon Services LLC Associates Program, an affiliate advertising program designed to provide a means for sites to earn advertising fees by advertising and linking to Amazon. She is also an affiliate for other links which you may click on throughout this site. Copyright © MMontagu. All rights reserved. 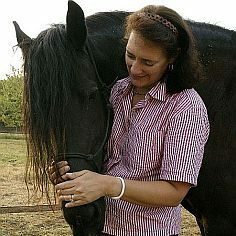 No part of this website, EquineGuidedGrowth.com, may be reproduced. Unauthorised use and/or duplication of this material (text and images) without express and written permission from this website and blog’s author and/or owner is strictly prohibited. Every effort is made to ensure that the information contained within this website is accurate and up to date. All rates and information published on this site are subject to change without notice. I know what you are thinking. You are thinking that I am going to say, “Gratitude is not enough, it should manifest itself as Generosity if it is to result in a state of Grace.” I have, indeed, said this many times before and I continue to believe it wholeheartedly, but I have learned in 2017 that gratitude and generosity still are not enough. It has been a difficult year. Pain has been my constant companion for nine months of this year. It started on the 4th of April, the day after I had attended my annual check-up at Moorfields Eye Hospital in London, where the professor assured me that all was well with both my eyes. Less than 24 hours later the pain started in my left eye. I have had corneal transplants twice in the past, thanks to two generous donors to whom I am profoundly grateful. Usually, a corneal transplant lasts for ten years and my current transplant was already more than twenty years old. I knew it would have to be replaced sooner or later, but as the two previous operations were painful experiences that I prefer not to dwell on, I had hoped that it would be later, much, much later, before I would need to undergo this operation again. As a cornea gets older, it gets thinner and thinner and mine was so thin now that I developed one corneal ulcer after another, on a background of continuous keratitis. Which basically means that I was never entirely pain-free, although the pain would increase and decrease depending on whether an ulcer was developing or healing. Life, of course, went on, with all its demands and dramas. I was afraid to have the necessary surgery, so I kept hoping that the problem would go away of its own accord, as you do. This did not happen and by June I was desperate enough to go and see an ophthalmologist, recommended to me by a friend who is an optician. Not surprisingly, he confirmed that I needed a transplant and referred me to a specialist centre, two hours’ drive from where we live, for the operation. It took another 5 months, during which I had an urgent operation on my right eye before everything was in readiness for the transplant. Even now, two weeks after the transplant, due to post-operative complications, I am not yet pain-free. One lives in hope. There were many difficult times though, of course, there were. Times of uncertainty when I did not know how much longer it would be before I would be able to undergo the transplant. Times of apprehension, when I worried about the operation itself, whether it would be successful or not. Fearful times, while I was afraid that this operation would be as painful as the previous operations. Times of despair, when my coping strategy made the pain worse. Times of intense frustration, when the transplant had to be delayed as I developed glaucoma that needed to be treated urgently. Eventually, I had to have surgery to my right eye to secure the only vision I had left (my left eye is blind.) I did a lot of praying during those endless months. It was only towards the end that I, purely by accident, found out that gratitude and generosity are not enough. Not for me, in any case. I spend a lot of time and energy every year making advent calendars for the people closest to me. I usually start the hunt for the twenty-four perfect little gifts for each calendar mid-October. It is one of my all-time favourite Christmas activities. I wrap each small gift individually, adding a card with a quote chosen especially for the day and the recipient. This year, I was surprised to find just how beneficial this burst of vigorous creativity was to my state of mind. Being grateful and generous was helpful, to me and to the people around me, but being creative was my saving grace. It seems to me, that just as gratitude can be expressed as generosity, it can also be expressed as creativity. I find creativity as beneficial to my well-being as gratitude and generosity. My main creative outlet these past few years has been writing. I have done very little writing over the last 9 months. Reading and writing had been too painful. Now I am thinking this may have been a mistake, that it is time to start writing again. As motivation and for inspiration, I have just downloaded a book from Amazon: “Called to Create: A Biblical invitation to Create, Innovate and Risk” by Jordan Raynor and I am looking forward to reading it as the old year makes way for the new. Here is to a 2018 filled with Gratitude, Generosity and Creativity! For early-bird discounts and last-minute special offers, available only to mailing list subscribers, and notification of new life-enhancing blog posts, notification of new book/course releases, subscribe to my mailing list below or by CLICKING HERE. You will receive my 10 Simple Steps to Instant Self-Confidence Guide immediately – straight from the horse’s mouth! Thank you for stopping by, Sedi. Looking forward to reading your posts. Hi Margaretha, your writing is heartwarming and honest especially in these days of sales frenzied consumerism. Your creativity and generosity speak volumes about you and I think blogging is also a form of creativity. You write beautifully! I wish you well and hope you are pain free as you recover. All the best for 2018. Blogging is definitely a creative process for me too, Debbie, I have missed it! I have also missed talking to my blogging friends, so glad to hear from you. Wishing you and your family a fabulous 2018. Thanks Margaretha and hope things improve for you soon . All the best for 2018 and making more connections. I was thinking of you just yesterday. Wondering why I had not seen any posts from you. A dear friend of mine is going through this same eye surgery this holiday season. She had emergency surgery and is now recovering. Thank you for sharing your story about gratitude, generosity and creativity. I wish you a speedy recovery and continued strength, which you graciously share with your friends and readers. Thank you for enriching my life with your posts, especially the recipe ones. I also found the “Food Allergy is on the rise” post very interesting. Good luck to your friend, I hope everything works out well for her. Thanks Very Much. I’ll share your story with her. Margaretha. I have gratitude knowing that you are part of my life, even if just from a distance. Your words to me have even inspired my creativity….for which I am grateful. Reading doesn’t have to be with your eyes and writing doesn’t have to be with your pen in hand. You can read by listening to books and write by speaking. So many apps to help us through the day. Barbara Cartland dictated about 8000 words a day that were then typed up by her secretary. Although her books are not the kind I would read, you can’t help but be in awe of someone who wrote over 700 novels in her lifetime. Clearly, I need Barbara Cartland’s secretary. Seriously, I am very grateful that you are part of my life too, Jennifer, you have widened my horizons in so many ways. Imagine, 700 novels in one lifetime…or maybe it was one novel written in 700 different ways! Thank you, dear Linda, it is so good to meet up with you again. I have missed your posts, especially the fashion ones! Margaretha, I too am happy to read you had the surgery and do hope for continued recovery and the best for you. What a wonderful story to share with us, it just reminds me to stop selfishly looking at my own ‘little problems’… like you I’ve had my struggles, but not as much as you. Thank you for also sharing how creativity helped you – it’s something I NEED to add back to my own life as well as sharing it. All the sincere best dear friend. Give the horses a hug for me and we look forward to reading more from this amazing young lady! Thanks for sharing these beautiful thoughts, and thank you for the kindness and friendship you’ve always demonstrated, despite the challenges you’ve faced. It’s amazing and inspiring that you could find the focus to write even as much as you have this year. After so much difficulty and pain, I’m glad that the big op has finally happened. Wishing you well with the recovery… may the post-op complications settle down and free you to be even more creative in 2018! Thank you also, Tia, for your friendship. I am very grateful to have a friend like you. Looking forward to seeing you in the summer! Or spring, maybe?